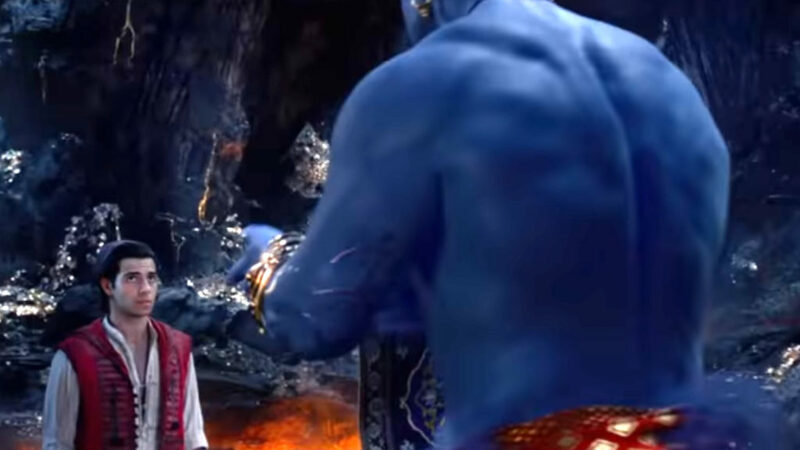 In a new special look trailer released at the Grammy Awards, Disney has given the world its first taste of Will Smith as the Genie in Aladdin. The short reveal shows a buff, blue and ever so slightly CG Genie coming out of his lamp to introduce himself to Aladdin. Fans however, seemed more shocked to see the actor as an entirely different colour, than excited for the live action classic. Let’s face it though, can anyone really compete with Robin Williams? Ever? The movie will premier in May.